In this article will learn how we can make use of Java Mail API to send Mail in Android automatically and also some details about fetching email-ID’s from the Android device that is configured for mail service. To create an Android application that are capable of sending an automatic mail without prompting user for to address, from address, subject and body of mail. In a simple word, we need to create an Android app that sends mail on click of a button with from address of the user to a particular mail-ID. Need of Sending Automatic Mail? In order to answer this question, let’s take a scenario of an Application that sends some system information to the server like Details of the Employee’s Mobile phone to Company’s server for some security purpose. 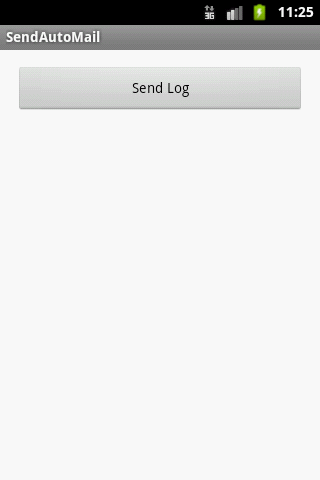 Create an Android Application with UI that contains one button. When user clicks on that button an automatic mail send to particular mail-ID (company’s mail-ID) with some details of user mobile like list of installed application in phone. 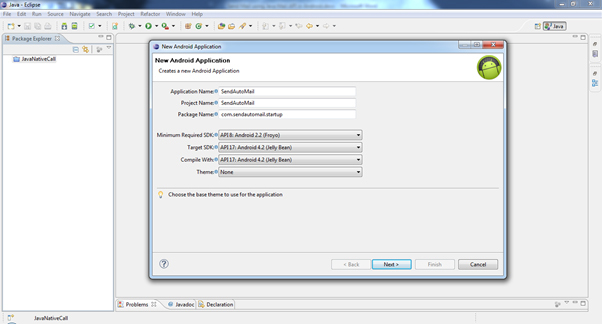 Figure 1: Shows the steps to create Android app. Enter the Name of project , Package Name and select Minimum SDK and Target SDK. In activity_main.xml create one button with text property set to “Send Log”. Now we learn something about Java Mail API. As we know that Android make use of java classes and interfaces so it is quite possible to add previously written java class or interfaces in android for some task. You will find this line in oracle website for JavaMail. So Java Mail is required when we need to create our own mail application for sending so shots of information. Multipart class: - it allow to device message into multipart so that long message can be sent easily. Session: - in order to send mail we need to create session between hosts. InternetAddress : it contains address , simply maid ID (example: abc@xyz.com). Similarly, you will find many classes inside this mail.jar for more information you can visit oracle.com. In order to get this mail.jar file follow this link http://javamail-android.googlecode.com/files/mail.jar , apart from this link you can also find mail.jar in the code provided to you with this article. Copy mail.jar into “libs” folder present inside your mail project. If not there please create one. Now right click on mail.jar inside libs folder and select option “Build Path” and then select “Add to Build Path”. Now for clarification you can check your “Referenced Libraries”. 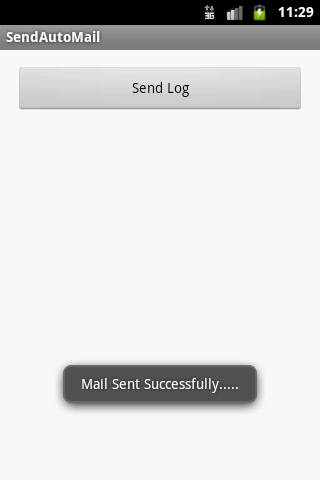 You will find mail.jar inside it and that indicate you have successfully added it to build path. Now you are ready to use classes from mail.jar. Note: In the above code address, to, from and password variable should be replaced by actual value for the security purpose only unreal values are used. For this article I have used gmail as a host and smtp as protocol. If you want to send mail using other host server you need to use host address of that. Next we learn how to fetch various information from the Mobile phone. For this tutorials I will show how to get the list of installed application in the mobile phone and how to fetch the email –id’s from the mobile that is configured by the user. In the above code first we have created the instance of PackageManager that consist of information about the packages (application is also refer to as package that is every application have unique package name. it is like primary key). Then, using List class with parameter ApplicationInfo we called the method getInstalledApplications(PackageManager.GET_META_DATA ) to get the list of installed application information into packages. After that by simply iterating through List and calling processName will get list of installed application and here we are appending each package name into a string variable installed_apps. In the above code we used ActivityManager class that is used to manage all the activities or process currently running. And again by using List with parameter RunningAppProcessInfo we got list of running process information and after that just by calling processName property we got running application package name. Note: In order to fetch email-ID we require certain permission that you need to define in the AndroidManifest.xml file. We require the code below for fetching email-ID. Using this article now we are able to send mail automatically and able to fetch certain records about Mobile Device. Figure 2: When you run the project you will see the image above that display a button. After you click the button it will start sending mail. Figure 3: Above image showing the process of sending mail using Toast. 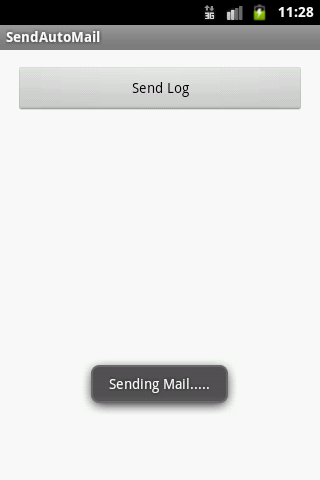 Figure 4: After successful sending of mail again a toast message is shown for informing user that particular mail has been sent. We learnt today on the process of working with Java Mail API, will come with some more great stuff next time. Thanks for your comment, we will contact the author to help in your question soon.